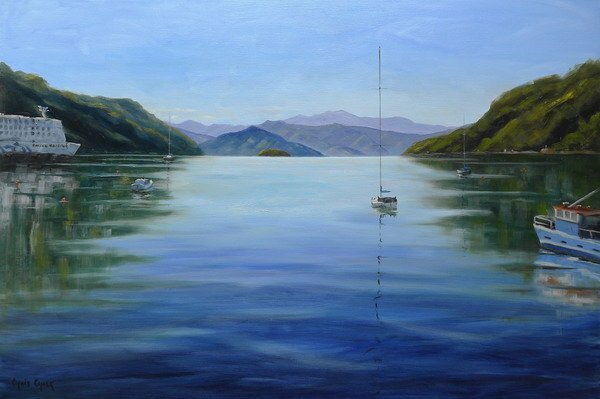 A large painting of Picton Harbour, situated at the top of the south island of New Zealand. If you've been to NZ, and caught the ferry between the islands, you've been to Picton. Picton has to be one of the most beautiful natural harbours of the world. Oil on box canvas 36" by 24"